Dr. Galli would like to thank Boerne for voting him Best of the Best Boerne Chiropractor for 2009, 2010, 2011, 2012, 2013, 2014, 2015, 2016, 2017 and 2018! Conveniently located in the heart of Boerne. Dr. Galli and his staff make you feel right at home. His chiropractic clinic is warm and welcoming, his staff is friendly and knowledgeable. Dr. Carlo Galli , a Palmer Graduate, has been in practice since 1996 and currently has one of the largest practices in Boerne, TX. He uses his knowledge and skill to get the results your looking for. If you are currently asking yourself can chiropractic help me? Whether it's a new problem or a chronic problem. Whether it's neck pain, lower back pain, headaches, arm or leg pain, numbness and tingling, TMJ or jaw pain, shoulder or elbow pain. The answer is, the pain STOPS here! 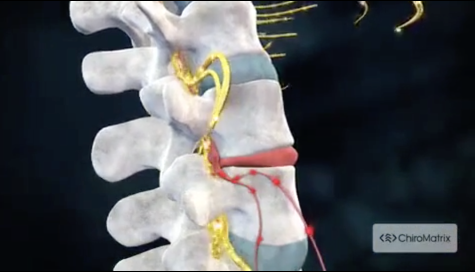 Dr. Galli can quickly get rid of your pain and get you back in action. Because every patient is different. He customizes his treatment and adjustment techniques used based on the individual needs of the patient, as determined by case history, physical examination, and x-rays or other imaging studies. By utilizing traditional Chiropractic care, physical therapy, massage therapy, and the newest State of the Art Spinal Decompression for herniated/prolapsed disc and spinal stenosis we are able to get you better as quickly and affordably as possible. This Boerne Chiropractor will never pressure you or require you to pay large sums of money in advance for as extended period of treatment. He doesn't believe in signing you to a year long (or longer)contract, we don't require you to take extra time out of your busy schedule to come to a "spinal care class". Galli Family Chiropractic services the following areas: Boerne, Pipe Creek, Bandera, Comfort, Fair Oaks, Leon Springs, Berghiem, Spring Branch and North San Antonio areas. "Dr. Galli and his staff were awesome. I came in concerned about possible surgery, but after Adjustments, decompression, and other therapy, I am feeling no pain. I highly recommend Dr. Galli and his team!"